An allusion is a reference to the original source using the the same key words or thoughts without quoting word for word. 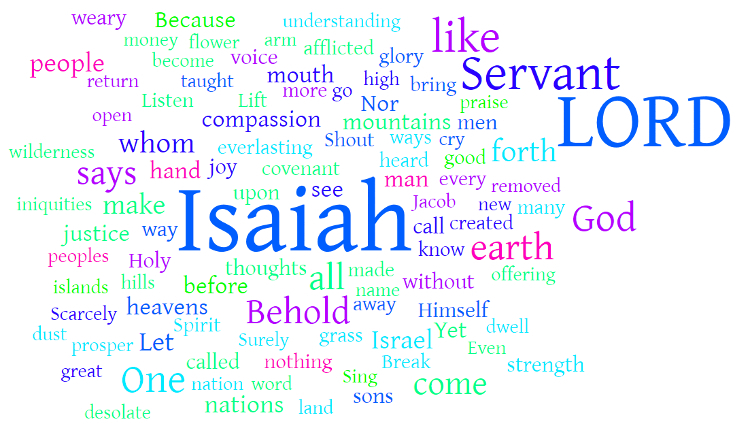 Because the New Testament writers often borrow the language of the Old Testament (allusion) rather than quote verses directly, different scholars have different counts for the number of times the Book of Isaiah is quoted in the New Testament. Mark 4:12 so that WHILE SEEING, THEY MAY SEE AND NOT PERCEIVE, AND WHILE HEARING, THEY MAY HEAR AND NOT UNDERSTAND, OTHERWISE THEY MIGHT RETURN AND BE FORGIVEN.”Luke 8:10 And He said, “To you it has been granted to know the mysteries of the kingdom of God, but to the rest it is in parables, so that SEEING THEY MAY NOT SEE, AND HEARING THEY MAY NOT UNDERSTAND. Isa 8:14 “Then He shall become a sanctuary; But to both the houses of Israel, a stone to strike and a rock to stumble over, And a snare and a trap for the inhabitants of Jerusalem. 1Peter 2:8 and, “A STONE OF STUMBLING AND A ROCK OF OFFENSE”; for they stumble because they are disobedient to the word, and to this doom they were also appointed. Isa 22:13 Instead, there is gaiety and gladness, Killing of cattle and slaughtering of sheep, Eating of meat and drinking of wine: “Let us eat and drink, for tomorrow we may die.” 1Corinthians 15:32 If from human motives I fought with wild beasts at Ephesus, what does it profit me? If the dead are not raised, LET US EAT AND DRINK, FOR TOMORROW WE DIE. Isa 25:8 He will swallow up death for all time, And the Lord GOD will wipe tears away from all faces, And He will remove the reproach of His people from all the earth; For the LORD has spoken. 1Corinthians 15:54 But when this perishable will have put on the imperishable, and this mortal will have put on immortality, then will come about the saying that is written, “DEATH IS SWALLOWED UP in victory. Isa 28:12 He who said to them, “Here is rest, give rest to the weary,” And, “Here is repose,” but they would not listen. 1Corinthians 14:21 In the Law it is written, “BY MEN OF STRANGE TONGUES AND BY THE LIPS OF STRANGERS I WILL SPEAK TO THIS PEOPLE, AND EVEN SO THEY WILL NOT LISTEN TO ME,” says the Lord. Isa 29:16 You turn things around! Shall the potter be considered as equal with the clay, That what is made would say to its maker, “He did not make me”; Or what is formed say to him who formed it, “He has no understanding”? Romans 9:20 On the contrary, who are you, O man, who answers back to God? The thing molded will not say to the molder, “Why did you make me like this,” will it? Mark 1:2 As it is written in Isaiah the prophet: “BEHOLD, I SEND MY MESSENGER AHEAD OF YOU, WHO WILL PREPARE YOUR WAY; 3THE VOICE OF ONE CRYING IN THE WILDERNESS, ‘MAKE READY THE WAY OF THE LORD, MAKE HIS PATHS STRAIGHT. '” 4John the Baptist appeared in the wilderness preaching a baptism of repentance for the forgiveness of sins. Isa 40:6 A voice says, “Call out.” Then he answered, “What shall I call out?” All flesh is grass, and all its loveliness is like the flower of the field. Isa 40:7 The grass withers, the flower fades, When the breath of the LORD blows upon it; Surely the people are grass. Isa 40:8 The grass withers, the flower fades, But the word of our God stands forever. 1Peter 1:24 For, “ALL FLESH IS LIKE GRASS, AND ALL ITS GLORY LIKE THE FLOWER OF GRASS. THE GRASS WITHERS, AND THE FLOWER FALLS OFF, 25BUT THE WORD OF THE LORD ENDURES FOREVER.” And this is the word which was preached to you. Isa 40:13 Who has directed the Spirit of the LORD, Or as His counselor has informed Him? 14With whom did He consult and who gave Him understanding? And who taught Him in the path of justice and taught Him knowledge And informed Him of the way of understanding? Romans 11:34 For WHO HAS KNOWN THE MIND OF THE LORD, OR WHO BECAME HIS COUNSELOR? 35Or WHO HAS FIRST GIVEN TO HIM THAT IT MIGHT BE PAID BACK TO HIM AGAIN? 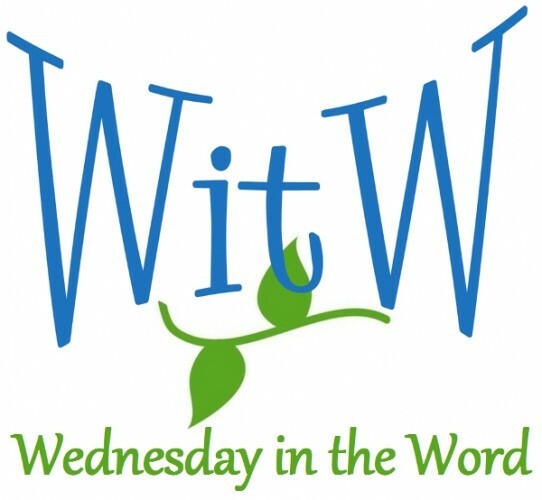 1Corinthians 2:16 For WHO HAS KNOWN THE MIND OF THE LORD, THAT HE WILL INSTRUCT HIM? But we have the mind of Christ. Isa 45:9 “Woe to the one who quarrels with his Maker– An earthenware vessel among the vessels of earth! Will the clay say to the potter, ‘What are you doing?’ Or the thing you are making say, ‘He has no hands’? Romans 9:20 On the contrary, who are you, O man, who answers back to God? The thing molded will not say to the molder, “Why did you make me like this,” will it? Phillipians 2:10 so that at the name of Jesus EVERY KNEE WILL BOW, of those who are in heaven and on earth and under the earth, 11and that every tongue will confess that Jesus Christ is Lord, to the glory of God the Father. Isa 52:5 “Now therefore, what do I have here,” declares the LORD, “seeing that My people have been taken away without cause?” Again the LORD declares, “Those who rule over them howl, and My name is continually blasphemed all day long. Romans 2:24 For “THE NAME OF GOD IS BLASPHEMED AMONG THE GENTILES BECAUSE OF YOU,” just as it is written. Isa 52:11 Depart, depart, go out from there, Touch nothing unclean; Go out of the midst of her, purify yourselves, You who carry the vessels of the LORD. 2Corinthians 6:17 “Therefore, COME OUT FROM THEIR MIDST AND BE SEPARATE,” says the Lord. “AND DO NOT TOUCH WHAT IS UNCLEAN; And I will welcome you. 18″And I will be a father to you, And you shall be sons and daughters to Me,” Says the Lord Almighty. Isa 53:5 But He was pierced through for our transgressions, He was crushed for our iniquities; The chastening for our well-being fell upon Him, And by His scourging we are healed. 1Peter 2:24 and He Himself bore our sins in His body on the cross, so that we might die to sin and live to righteousness; for by His wounds you were healed. Isa 54:13 “All your sons will be taught of the LORD; And the well-being of your sons will be great. John 6:45 “It is written in the prophets, ‘AND THEY SHALL ALL BE TAUGHT OF GOD.’ Everyone who has heard and learned from the Father, comes to Me. Isa 59:20 “A Redeemer will come to Zion, And to those who turn from transgression in Jacob,” declares the LORD. Isa 60:20 “Your sun will no longer set, Nor will your moon wane; For you will have the LORD for an everlasting light, And the days of your mourning will be over. 21″Then all your people will be righteous; They will possess the land forever, The branch of My planting, The work of My hands, That I may be glorified. Revelation 21:23 And the city has no need of the sun or of the moon to shine on it, for the glory of God has illumined it, and its lamp is the Lamb. Scripture quotations are from the New American Standard Version.